Modern science used to pride itself on its insistence on doubting everything and establishing the truth of things based on empirical data. Often the lone scientist would work hard against the common assumptions and make great breakthroughs and discoveries. It seems such ideas about science are becoming old-fashioned and romantic. Today’s scientists are part of university establishments that must worry about their bottom line and prestige. Sometimes it is simply too controversial to doubt. Scientists are treated no different from other academics and are encouraged to tow the politically- or ecologically-correct party line to ensure their future careers. The most evident example of such anti-science pressure is the growing debate around the issue of man-made global warming. 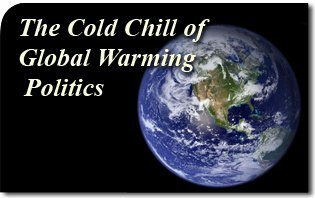 The politically-correct “consensus” is that such global warming is a fact that cannot be contested. In fact, the American Physical Society has gone so far as to declare global warming a dogma that is “incontrovertible.” One may not doubt or even express misgivings. Such statements were too much for some academics that value their freedom to think independently. Norwegian-born American Prof. Ivar Giaever has just resigned from the highly respected American Physical Society (APS). Prof. Giaever is no lightweight among physicists. He was elected a Fellow of the American Physical Society because of his fine work. He also shared the 1973 Nobel Prize in Physics and has worked for leading institutions of higher research. 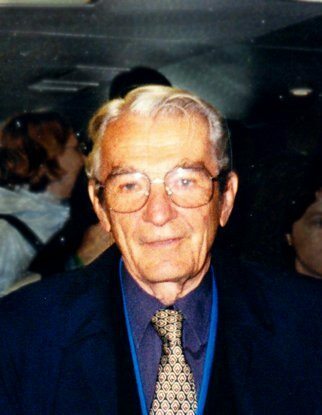 Professor Ivar Giaever, member of the Institute of Electrical and Electronic Engineers, and the Biophysical Society, and is a Fellow of the American Physical Society.He is co-winner of the 1973 Nobel Prize in Physics. Nor is he alone. Prof. Giaever joined with more than 100 scientists in a March 30, 2009 open letter to President Obama declaring: “We maintain that the case for alarm regarding climate change is grossly overstated.” He believes measurement instruments are not accurate and that the world climate has actually been “amazingly stable” for 150 years. Such statements have led many prominent scientists like Prof. Giaever to speak out – some at great price to their reputations. These consensus-breaking dissenters are an increasing embarrassment for the scientific establishment that is claiming an overwhelming consensus to global warming dogma. It seems the more prominent scientists protest and leave the scientific society, the more the APS insists that “virtually all reputable scientists” agree that carbon dioxide is increasing in the atmosphere due to human activity. Apparently all those who leave the consensus, including Nobel laureates, join the ranks of disreputable scientists that dare to doubt. There was a time when science welcomed different views and hypothese as part of the scientific method. What is particularly disturbing about the present developments is that the dissenting opinions are summarily discarded by the science establishment and media. It seems there are some sacrosanct topics that cannot be challenged; some opinions must be suppressed and some politically correct dogmas that must be imposed upon all without exception. Meanwhile the cold chill of global warming politics is being felt throughout the scientific community.